If you think Tanaka Reina’s rock band project seems to get more idol-like every day, well you’re not alone. “Buppanase! Baby, I Love Ya!” dolls the group up a bit in colorful plaids and prints and presents a song every bit as pop as your favorite idol group’s latest single. Miyazawa Marin finds herself strumming funky rhythms instead of the riff heavy licks of the group’s earlier work. Well, as far as a Яe:Start goes, I’m a bit worried the group will reverse direction on their charter since day one. This isn’t to say the song isn’t good: I find myself singing along the chorus’s “I Love ya! I Love ya!” and Reina’s personality comes through loud and clear in the production. 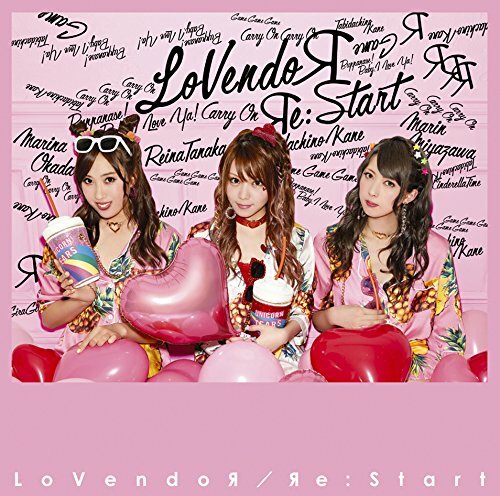 I’m just a little confused by where LoVendoЯ has decided to steer their ship. Яe:Start goes on sale September 6, 2017.